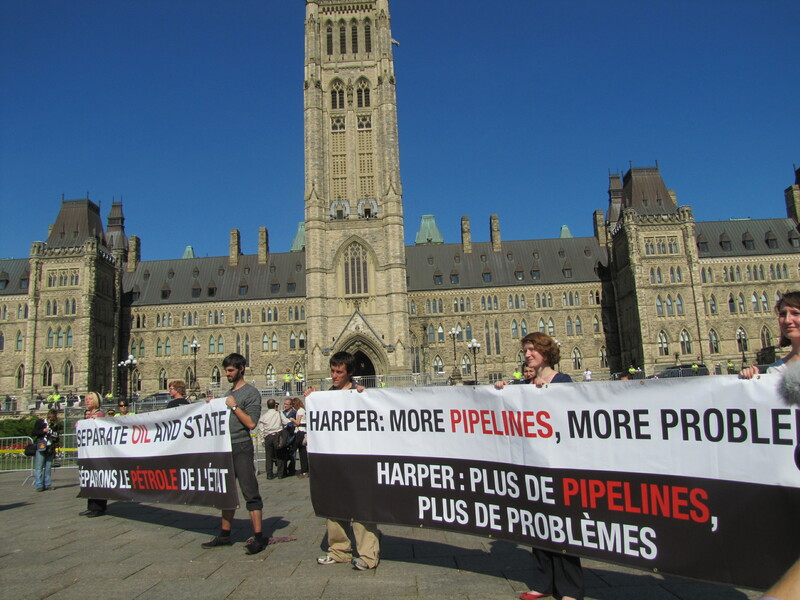 I attended the tar sands/Keystone XL protests in Ottawa on September 26 at which roughly 125 people were arrested. 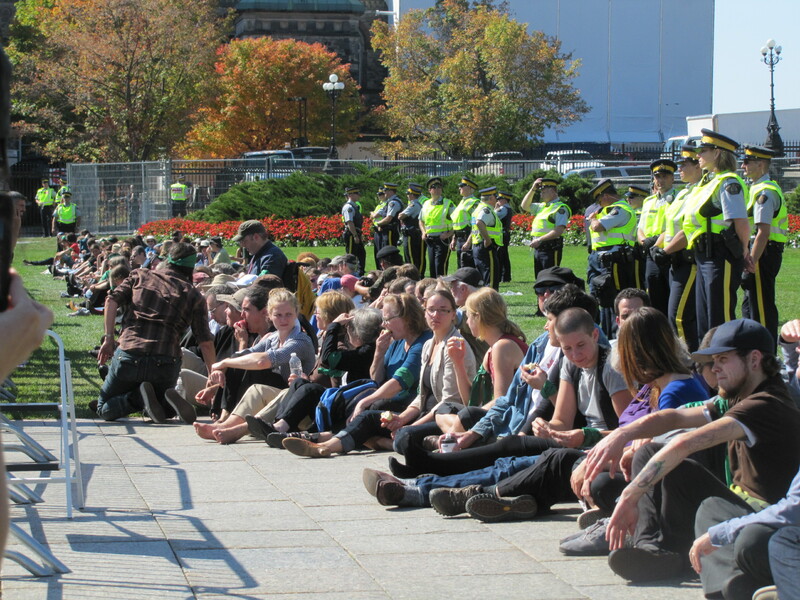 The protest was the embodiment of civil disobedience and was carried out in an extremely peaceful manner. Big thumbs up to the organizers and the hundreds who attended. Let’s hope this is the beginning of something. During the protest, I had the opportunity to speak briefly with George Poitras, former Chief of the Mikisew Cree First Nation in northern Alberta and with Clayton Thomas-Muller who is a tar sands campaigner with the Indigenous Environmental Network, an activist for indigenous self-determination and environmental justice and a member of the Mathais Colomb Cree Nation (Pukatawagan) in Northern Manitoba. Check out the video links below. NRTEE: Climate Change To Cost Canada Billions Maryland to use Genuine Progress Indicator in measuring progress: Is Happiness Really Priceless?